I think I have a Frozen Shoulder! 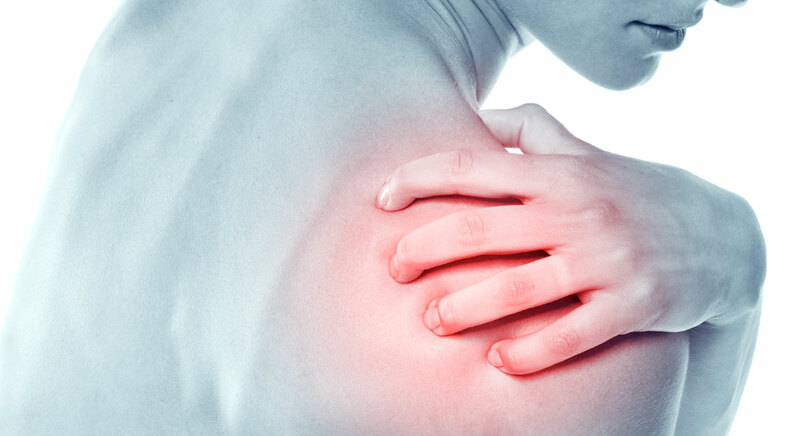 Frozen Shoulder – What should I do? Before coming to any conclusions yourself about whether or not you have frozen shoulder, get checked out by a practitioner. If you discover that you do in fact have frozen shoulder, take a deep breath and relax. You are going to be okay. There is good and bad news here for you. Firstly, it is going to take a bit of time – this time period can vary greatly however (see below for figures). I believe its helpful at this stage to adjust your expectations of recovery so that you don’t end up frustrated and disappointed. Frozen shoulder is a bit of an odd one; it will demand that your shoulder serves it’s time, and there is little evidence to say that much can be done to change this time period (however much can be done to reduce pain and prevent the condition from worsening: see below). The GOOD news is that once this time has been served, you can expect that your shoulder will go back to normal. You will regain your range of motion, tasks like putting on jackets and hanging up washing (though maybe you can still leave this to other people…) will feel completely normal again. 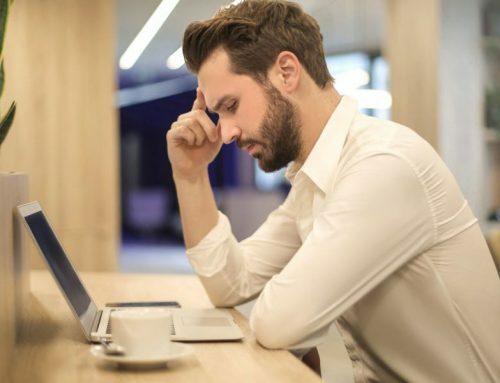 Keeping in mind, that you will need to do a bit of work to get your soft tissue healthy and functioning well after this time of relative immobility. One of the most commonly reported signs of people with frozen shoulder is trouble putting on/taking off clothing – particularly putting on jackets or lifting clothing above the head. Significant stiffness in the shoulder develops, preventing normal range of motion. Certain daily activities like brushing your hair or hanging out washing may become difficult due to this stiffness, and pain that accompanies it. The silver lining is that this condition will only effect one side, so you will be free to brush your hair with your other arm. So no excuses for messy hair. Night time can be a bit of a tricky time. Pain tends to be worse, and as a consequence for some people, sleep will be affected. This is because the lack of movement causes more stiffening and therefore pain. First thing in the morning, the shoulder will feel stiff and sore, but as the day goes on, movement increases and pain decreases. Pain is usually felt around the outer aspect of the shoulder, into the front of the shoulder, and in some cases the upper arm. It is often experienced as a constant dull ache, which becomes sharp in certain movements, particularly if they are sudden. Frozen shoulder occurs much more commonly in women, in saying that, I have treated numerous men with the condition. People within the 40-60 year old age bracket are also most likely to develop frozen shoulder. What is Frozen Shoulder – and why does it happen? Mostly commonly, frozen shoulder develops idiopathically (out of the blue and for no apparent reason). It can also occur as a result from surgery, and from other shoulder conditions or injury that haven’t been properly rehabilitated or treated, and in some cases as a secondary condition from other diseases. The important thing to know about frozen shoulder, is that the shoulder capsule (ball and socket that your arm attaches into) develops adhesions (sticky bits of tissue) that prevent the shoulder from moving normally. To prevent more of these adhesions forming, it’s important to continue moving and using your shoulder where possible. 1. FREEZING – developing stage. Onset of pain and range of motion begins to decline. 2. FROZEN – middle stage. Range of motion severely affected. 3. THAWING – final stage. Pain starts to decrease and range of motion starts to improve. The length of time for these phases and for the entire duration of the condition varies. But as a general rule the entire process will take anywhere between 12-24months. -See a Myotherapist for help with pain management, for a range of motion program, and for a strength program in later stages. See below for more information. -Heat/cold therapy for pain relief. Usually this is trial and error to see whether heat or cold is the best option for you. But as a general rule, in the early and middle stages icing should feel better, and in the later stages heat will be more relieving and help restore movement. I’m a big believer that you know your body best however, so try it out, and do what feels best. Ice packs, heat packs, hot water bottles, warming balms/oils, epsom salt baths, cold showers, swimming pools, spas, saunas, there are endless options for how you do your heat/cold therapy. Do what you enjoy and what feels good. Support yourself on a table or bench with your unaffected side, and allow your opposite arm (the affected side) to hang. Start to make small circles with your arm, and gradually increase the size of the circles as you feel the movement becoming easier. Switch directions. You may not be able to make huge circles, and that’s ok! All you are aiming for is an increase in your range. Spend a few minutes doing this. It may be nice to do this in the morning to regain some movement after sleep. You can also do it multiple times throughout the day, or just whenever you are feeling stiffness or pain building. Please note that you will experience some pain doing this movement, this is normal. It should get easier however after more repetitions. How Myotherapy can help with Frozen Shoulder? 3. STRENGTH program (dependent on stage) to reverse and prevent further atrophy (muscle wastage). This is important to regain stability and function through the shoulder. Inevitably due to the condition and changed biomechanics/limited range of motion, there will be a level of weakness and lack of activation through the shoulder that will develop. The good news is that with the proper corrective exercises, by deactivating trigger points and activating muscles that may have switched off, all of this can be reversed. 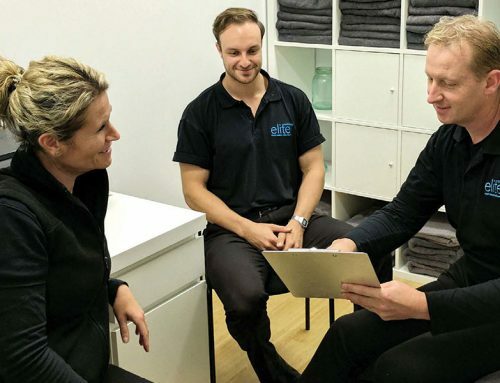 There’s no doubt that frozen shoulder isn’t a lot of fun, but take heart in the fact that many people have had it before you, which means there’s lot of help and information out there to help you manage the condition. The best thing you can do is be dedicated to helping and supporting yourself, and be willing to seek help from others. Aka Myotherapists and family members. 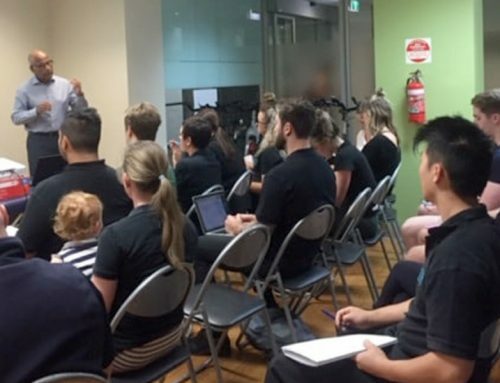 If you have any more questions please don’t hesitate to get in contact us at Elite Myotherapy on 9826 2006, or speak to your regular therapist.